Hey! 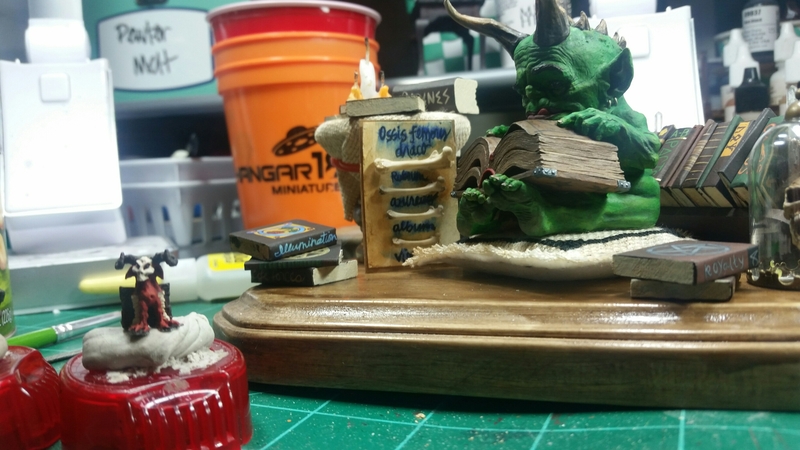 I’ve been working more on my diorama/vignette with the archivist demon, Bartholomew! I went to hobby lobby, spent about $50,and then only used about $4 of what I bought. Lol. It’s what I do. I can’t pass up some cool little things! 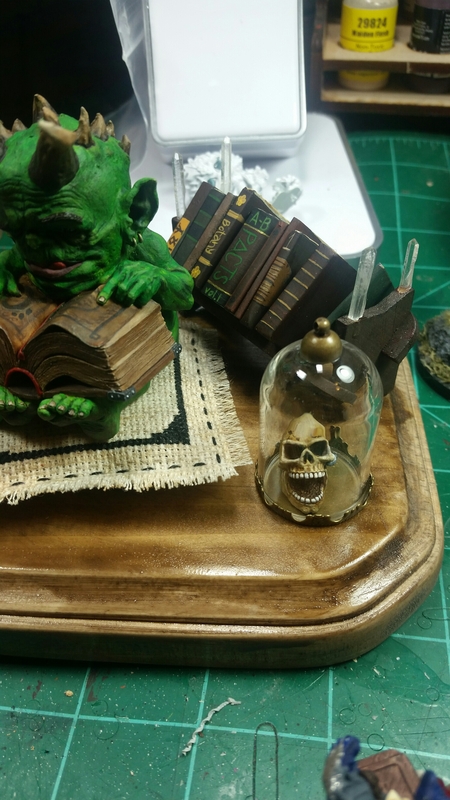 So, I painted more books, more on my little demon followers, and put my skull in a jar! 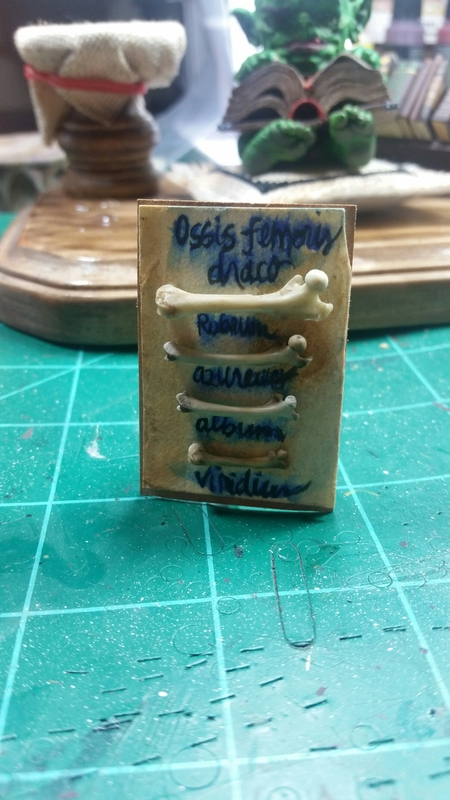 I also decided to make a cool little thing with some of my mouse bones! I picked out a bunch of femur, and went to town! I looked up some Latin, and made it red, blue, white, and green dragon femurs. They’re baby dragon femurs, obviously. 😉 then I worked more on my little minions. They’re so cute! I picked up the 2 on the right out of a pack of familiars, and the one on the left from a package with a wizard. They all have little books, ans I’m going to arrange them around him in the diorama. 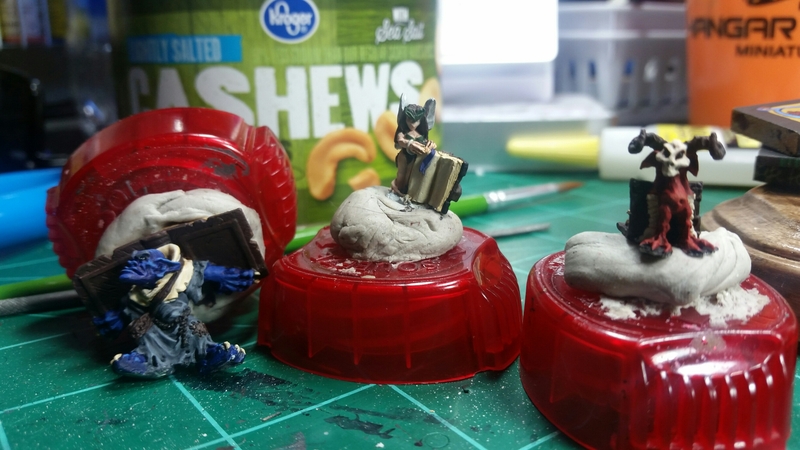 I took a scale shot of them with the diorama so you can see that they don’t overwhelm or make it too busy. Anyways, that’s the newest update! I hope y’all like everything!